Inspecting sewer lines for damage and weaknesses is an important step in preventing costly repairs and replacements. In the past, inspecting sewer lines required digging up the pipes to visually inspect them, tearing up massive sections of soil in the process. These large trenches damaged lawns, gardens, plants, and lowered property values, not to mention high cost for the heavy digging equipment required. With modern technology, however, it is possible to inspect entire sewer lines from the inside without damaging pipes or digging trenches. A small camera can be mounted on a long wire and then run through the sewer lines to check for cracks or weaknesses in the pipes. Trained professionals can view the feedback and footage for signs of damage. This requires little or no digging, and if a section is found to be damaged, it can be repaired or replaced with only minimal digging required. 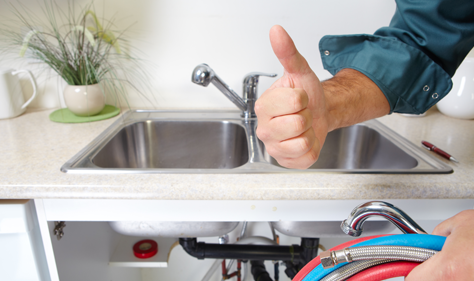 The next time you need your sewer lines inspected, consider contacting Colvenback Plumbing. Ruptured pipes, faulty linkages, and nasty accidents are no problem for our seasoned experts! We have decades of experience repairing and Read more. Got a new sink that you need installed? Bathroom or kitchen renovations? Colvenback Plumbing is on the job! Our team has over 30 years Read more. For the most difficult clogs in pipes, ones that cannot be adequately fixed by drain augers or chemicals, hydro jetting is the most powerful solution available. Read more. A septic drain field is part of a septic system that removes contaminants from the liquid that emerges from the septic tank. Read more. Tired of ice cold showers? Looking to upgrade your water heater or replace a broken one? Colvenback Plumbing has been Read more. Backflow is when any amount of water flowing from a source to a destination flows back to the source contaminating it Read more. When it comes to septic tanks, most people use the terms “pumping” and “cleaning” interchangeably. These two terms are slightly different. Read more. Sump pumps are special pumping systems which are designed to collect and remove water which naturally soaks in from outside soil in any Read more. Forget plungers. We can handle the big jobs. Major septic backups and blockages from heavy sludge, buildup of hair, and mineral deposits Read more. Inspecting sewer lines for damage and weaknesses is an important step in preventing costly repairs and replacements. Read more. Sewage systems do not handle oil and grease well. Grease builds up in pipes, causing blockages, backups, and eventually sanitary sewer overflows. Read more. Colvenback Plumbing is available 24 hours a day, 7 days a week, 365 days a year to help with any plumbing emergency you might have. Read more. I was on a business trip when my wife called to tell me that we had a water leak in our house. At the recommendation of a friend, we called Colvenback Plumbing, and I am VERY glad we did. My wife said they arrived quickly and had everything resolved relatively shortly. Being thousands of miles away and not being there was frustrating, but knowing how calm they made my wife was a tremendous relief. THANK YOU CBP! Coloveback Plumbing is a local Naples plumbing company. We are service all areas of Collier and Southern Lee counties. No job is too big or too small. We do everything from snaking drains and faucet repair work to whole house remodels and new construction. Our plumbers have built many homes and offices buildings from the city taps to the roof. You would be astounded at the numerous expenses that pupils cover their school schooling, even though they’re in the identical income segment.